What Do You Need to Prove in a Defective Product Case? Home » What Do You Need to Prove in a Defective Product Case? Sustaining an injury caused by a defective product is a frightening and devastating experience. Whether you were hurt by taking a medication or were burned by an electronic, you likely incurred damages as a result of the incident. A defective product lawsuit can bring relief to victims and their families, however, the burden of proof lies on them. Here’s what you need to know about proving your case against a product that injured you. The first thing you’ll need to prove is that the product was defective by design, manufacture, or advertising. For example, a product’s faulty design may have caused your injury. Or, the product was designed well but became defective during the manufacturing process. You’ll need to prove that during the course of your injury, you were using the product as directed. You will likely lose a defective product case if you used a product inconsistently with its labeling. Prove that the product’s defectiveness caused your injuries — and not some other part of the product. This is accomplished by providing your medical records to the court. These records give a detailed account of your injuries, which are matched up with how the product was found to be defective. In order for a successful case, you must prove that you sustained real damages caused by the defective product. For example, you need to show the medical bills you incurred in the course of seeking treatment for your injury. Also, provide documentation of any missed time from work. If you were injured by a defective product, going up against the company that makes that product can seem like an insurmountable challenge. However, working with a seasoned personal injury lawyer gives you the confidence that your case is solid and designed to elicit the full and fair compensation you deserve for your injuries. 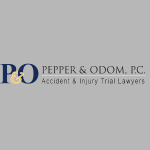 Contact the Pepper & Odom Law Firm today to learn more about defective product law and how you can pursue financial compensation for injuries by calling (601) 202-1111 or (205) 250-1107.